GPN's Michael Keating discusses refrigerated trailers, also know as reefers, with Jeff Weaver, vice-president of sales and marketing at Ervin Equipment. 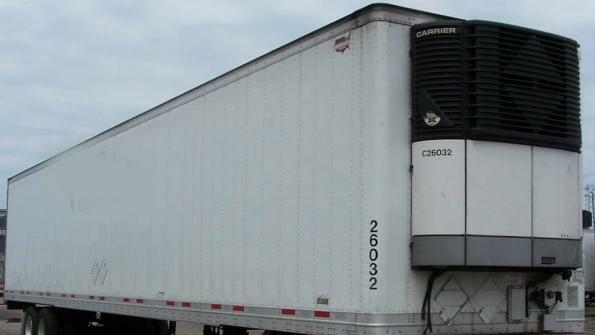 GPN got an education in refrigerated trailers, also known as reefers, when we contacted Jeff Weber. Weber is vice president sales and marketing at Toledo, Ill.-based Ervin Equipment. Weber’s firm sells new and used semi-trailers as well as dry vans, reefers, lowboys, chassis, flatbeds intermodal containers and tankers. The company also sells trucks, construction equipment and oilfield machinery. Reefers are used to transport perishable goods in a temperature-controlled environment. Some potential public sector applications for reefers include government foodservice operations, medical and corrections facilities, emergency response and disaster planning, as well as the military. Weber’s comments start below. In the photo: an example of a reefer used for controlled-temperature hauling. Government Product News: What are some things fleet managers may want to know before adding reefers to their fleet? GPN: What are some key aspects to maintenance for one of these trailers? JW: It is important to keep water out of the insulated cavities. Repairs should be made immediately to interiors and exteriors when damage occurs in order to keep water out. Training on how to wash with high-pressure cleaners is also pertinent. GPN: Is the cost of ownership higher than a normal van trailer? Why? JW: Yes. If you do not keep the insulated box sealed from water, degradation occurs. This means you’ll lose insulation capability and run higher unit/fuel costs in refrigeration. In addition, refrigerated trailers cost more to repair due to the complexity of working on refrigerated boxes versus a dry box. Finally, refrigerated trailers typically do not run as many years as a typical dry freight trailer. GPN: What is the lifespan of one of these trailers? What can government fleet managers do to extend the life of the trailer, or ensure it stays on the road for as long as possible? JW: Tier one is usually around 7 years, 3 years running deep frozen, and the remaining 4 years running frozen and produce. 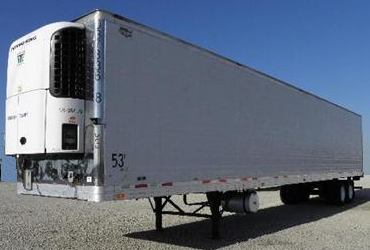 Refrigerated trailers’ insulation capability degrades around 3 to 5 percent per year. This causes higher fuel consumption, as the equipment needs to run more hours to maintain freight temperature requirements. In addition, corrosion is one of the top reasons trailer life is limited. Products like undercoating, hot-dipped galvanizing and stainless steel are important in extending the life of all trailers in the field. GPN Please tell me about some of the latest technical advancements in these products. JW: One advancement is in thermoplastic interior liners. Fastener-free sideliners eliminate possible water paths and reduce interior air loss. In addition, the sideliners eliminate shearing of interior fastener heads. Another advancement is in SolarGuard roofs. Fiberglass-reinforced white plastic SolarGuard roofs feature pigments that stop UV rays from being absorbed by the roof panel. Unlike aluminum, SolarGuard prevents the roof skin from heating up when subjected to the sun. These composite roof sheets have been tested and gain no more than 3 to 5 degrees above the outside temperature in daylight. When placed on a reefer, the technology helps to reduce fuel consumption and assists in maintaining temperature in maximum heat conditions — translating into thousands of dollars in savings. A third advancement is the improved thermal performance and fuel economy now available in these trailers. The thermal performance and the fuel savings go hand in hand because the reefer unit runs on diesel fuel and the better the box is insulated, the less fuel is needed to maintain or hold the required temperature. Oh hey, I remember seeing mobile refrigerated trailers at a county fair near my town. It was quite interesting to see just how cold that trailer was and even throughout the hot sunny day.Well, just how does a mobile refrigerated trailer keep a cold freezing temperature?